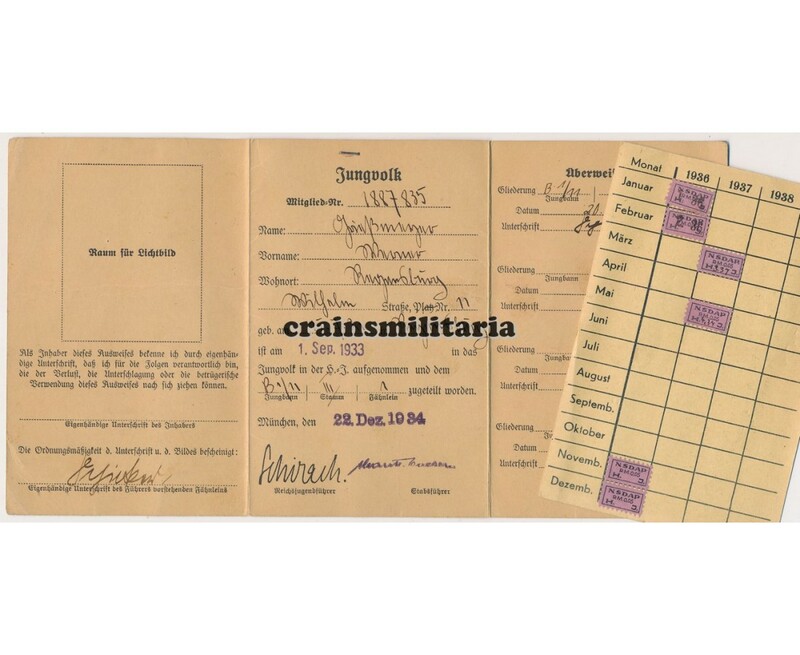 Membership card for the Deutsche Jungvolk, part of the Hitlerjugend, to Werner Griessmeyer from Regensburg. 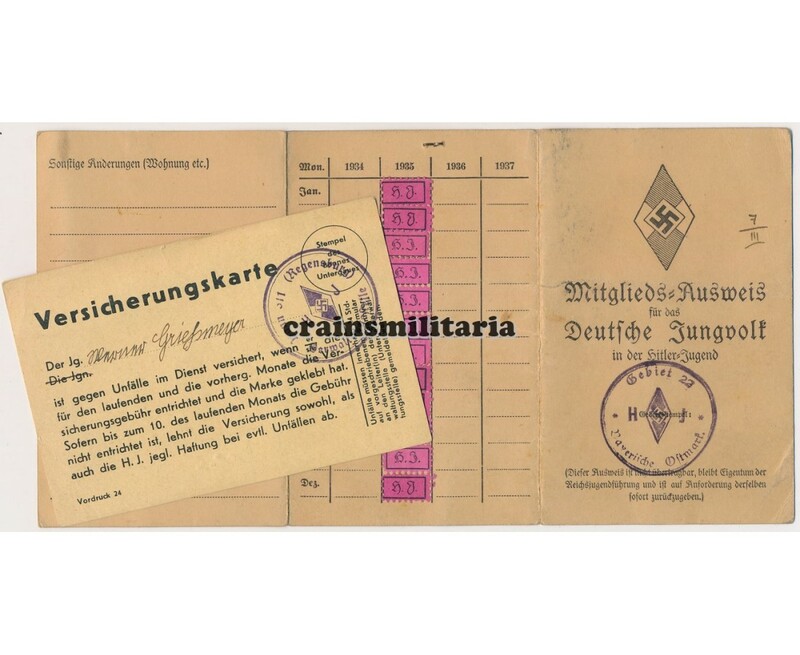 Nice stamp by the Hitlerjugend Gebiet 22 - Bayerische Ostmark. 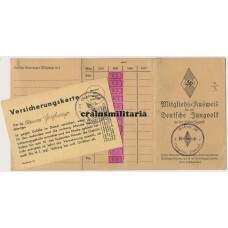 Comes with an extra "Versicherungskarte" card stamped by the HJ Bann Regensburg, with stamps from 1936-37.